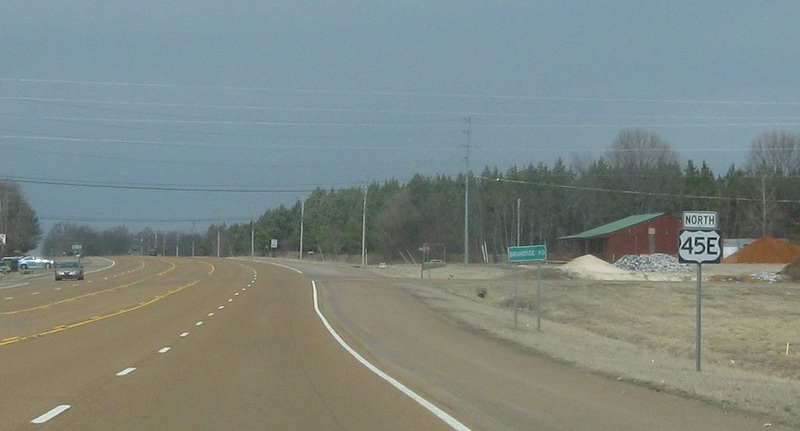 Reassurance shield after the SR 190 junction. A couple miles later, we’ll enter the border town of South Fulton. 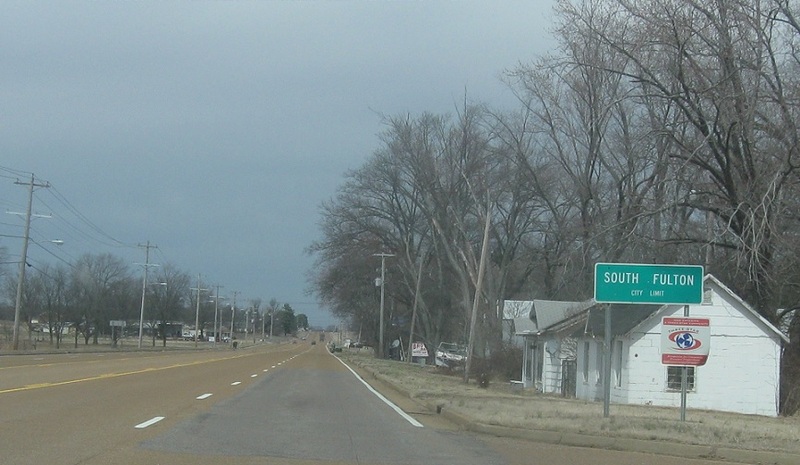 As we enter town, stay straight for SR 43, which splits off as a secondary highway. 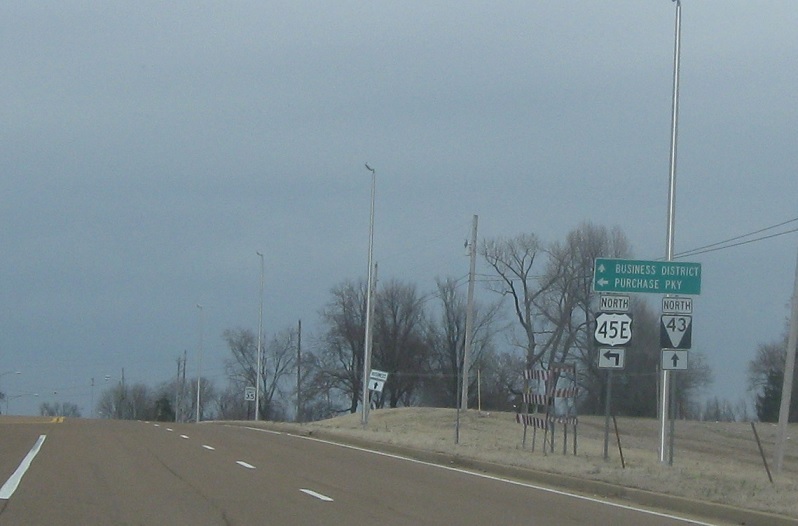 Stay straight for 43 north into town. 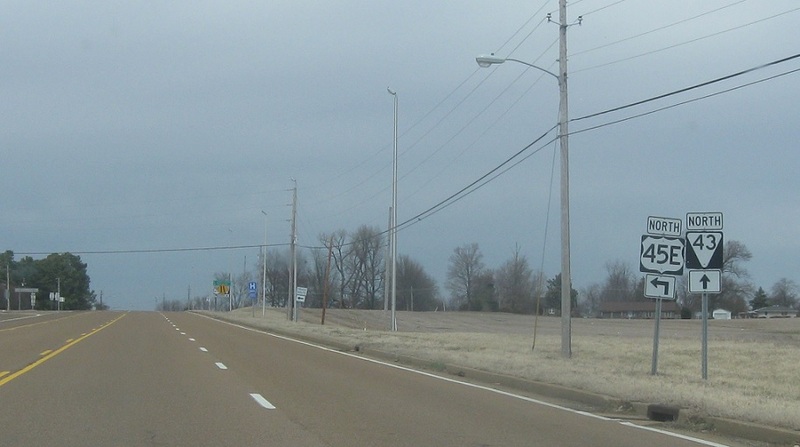 Turn left for US-45E north towards Kentucky’s Purchase Parkway. Unsigned SR 215 carries 45E from here.